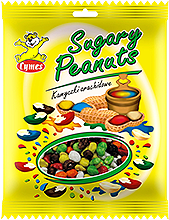 Sugary peanuts are coated in colour icing. In production we use only the highest quality peanuts, which are continuously monitored after delivery to our facilities, as only fresh nuts guarantee excellent taste. 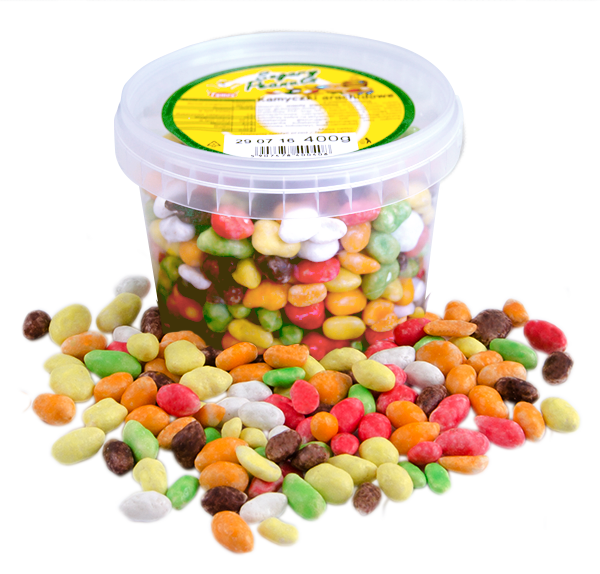 Icing is made from the highest quality sugar and the colour is obtained using natural dyes only. We do not add any preservatives to the product. 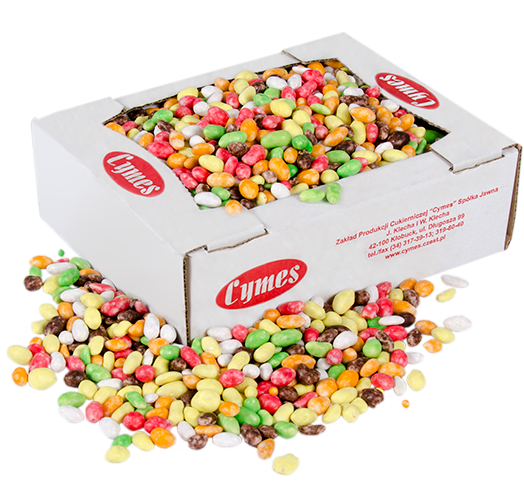 We want to make sure the peanuts remain crunchy, so they are packed in airtight packaging, which protects them against moisture and helps them maintain flavour and crispiness.